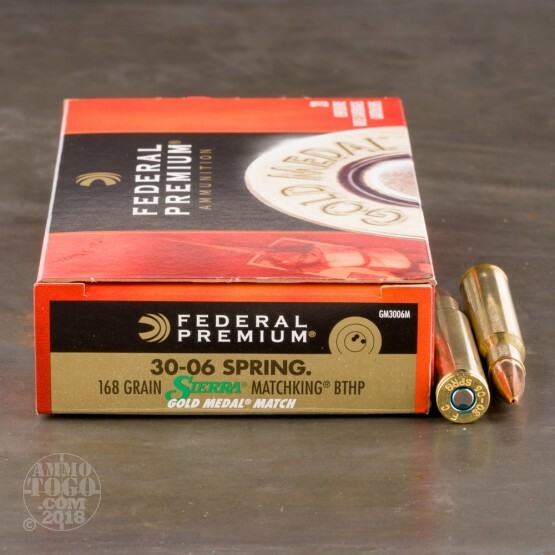 This 30-06 cartridge from Federal’s Gold Medal line of ammunition features Sierra’s 168 grain MatchKing projectile. Lauded as one of the finest target shooting bullets on the market, the MatchKing has a thin jacket drawn to a concentricity standard of no more than 0.0003 in variation. The MatchKing’s weight is similarly carefully controlled for as well, letting each shot perform just as the last. This bullet further owes its accuracy to its boat tail design, which significantly boosts its overall ballistic coefficient, as well as its exceedingly narrow hollow point meplat which grants it improved resistance against wind deflection. Federal’s own quality touches complement Sierra’s tack driving bullet well. 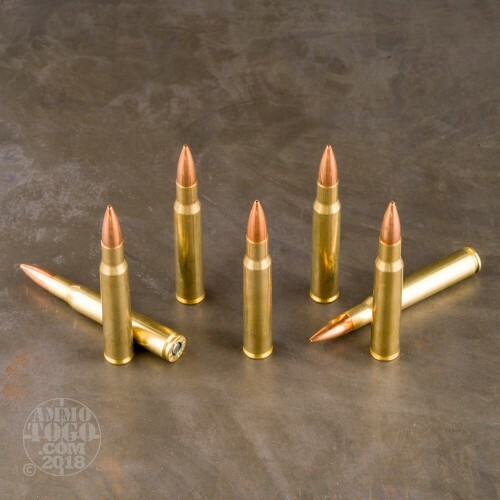 This round’s propellant is specially formulated to deliver the most out of a 30-06 rifle, and its benchrest quality Gold Medal primer needs only the slightest touch of a firing pin in order to do its job. 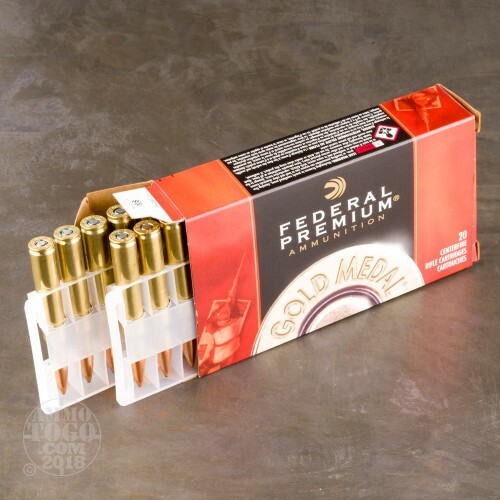 Federal’s brass casing is extremely consistent so as to cycle sans issues, and is perfect for reloading as well.